Another great video by Scott Morris via Guitar Salon International. In this video Morris talks about posture, sitting position, guitar supports and more. 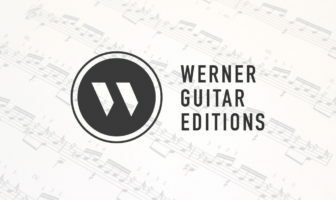 Here’s the blurb via their YouTube: “In this lesson Scott addresses the topic of the proper way to sit and hold a guitar – a seemingly basic topic that has far reaching effects – and also looks at guitar supports and proper ergonomics. Scott is playing a Felipe Conde CE-4 classical guitar at the Guitar Salon International showroom in Santa Monica, CA.” If you’re looking for a technique book you can check out my review of classical guitar technique and exercise books. For more free weekly lessons join the Email Newsletter for updates and please consider donating to the site or sharing this post to support.